re:TH!NK had the opportunity to work with school staff to implement different Active Schools strategies into many elementary schools in Winnebago County. Toolkits are being used by teachers to integrate movement breaks and physical activity, outside of physical education and recess, into the school day. Piloted by Oshkosh Area School District teachers from Oakwood and Oaklawn in 2012, example activities are explained for each grade level and each subject. The activities that the teachers liked the best are incorporated into this year’s toolkit. 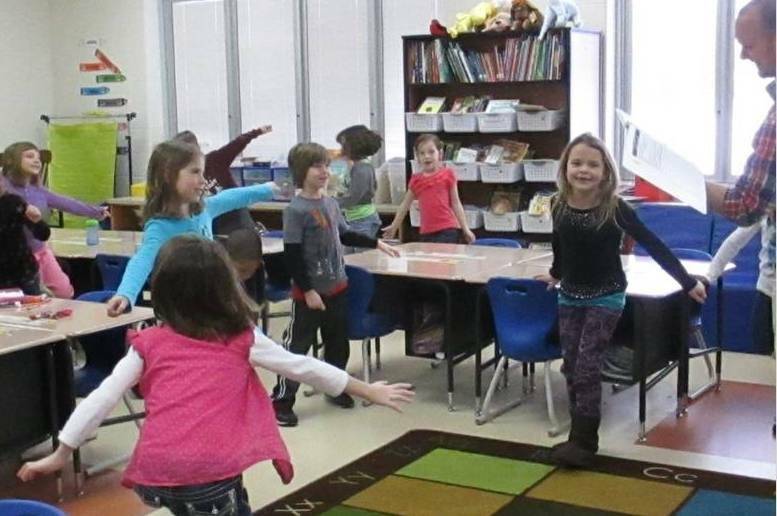 Over 200 teachers in Winnebago County elementary schools implement the Active Classrooms project which consists of each involved student participating in a 5 minute movement break during their normal classroom day. re:TH!NK began working on implementing active recess, active before and after school, and active extra credit in PE classes in two Neenah schools. Partners at UW Oshkosh and the Oshkosh YMCA have also been instrumental in starting active after school activities in the Omro and Oshkosh school districts. These programs reached over 5000 elementary students in Winnebago County during the 2013-14 school year. During the 2014-15 school year there were more than 220 classrooms in 6 school districts in Winnebago County using the Active Classrooms toolkit!